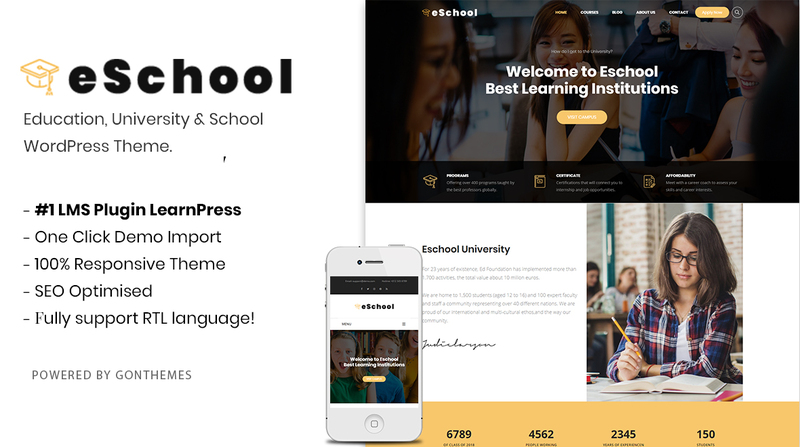 Eschool has 4 homepage with 4 different header types for you to choose freely. It also features One Click Demo Import, which will give you the most easy website. You also get a free $75purchase of this product (Visual Composer $46 and Revolver $29).